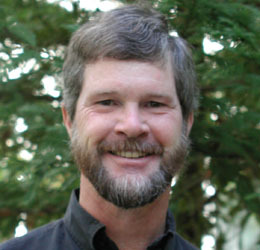 The Alexander von Humboldt Foundation has elected James Gill, professor of Earth and planetary sciences at UC Santa Cruz, to receive a Humboldt Research Award this year. The award is conferred in recognition of lifetime achievements in research, and recipients are invited to carry out research projects in cooperation with specialist colleagues in Germany. Gill said he plans to work with researchers at several institutions in Germany, starting with the Leibniz Institute of Marine Sciences at the University of Kiel (IFM-GEOMAR), which is the leading oceanographic research center in Germany. Gill's research focuses on volcanic activity on the seafloor and the formation of oceanic crust, as well as the origins of the continental crust. Gill was also honored recently by oceanographers who named a large submarine volcano after him. 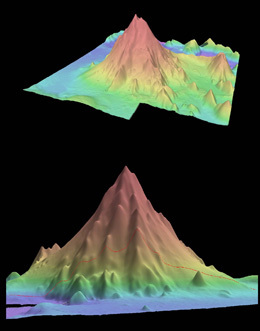 "Gill Volcano" was discovered and named by New Zealand oceanographers, who published their discovery last year. Located about 200 kilometers north of New Zealand's North Island, the volcano is about 6,000 feet high and 5 miles in diameter--about the size of Mount St. Helens--with a crater at the top. It is not known to be active but has not yet been explored, Gill said.